"Salty Frog. 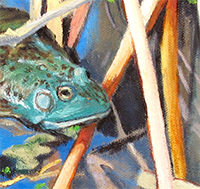 (Salt Lake City, Utah)"
I saw this cute little blue-green frog while in Salt Lake City last summer (2012). He was in a pond at the Bear River Migratory Bird Refuge there. 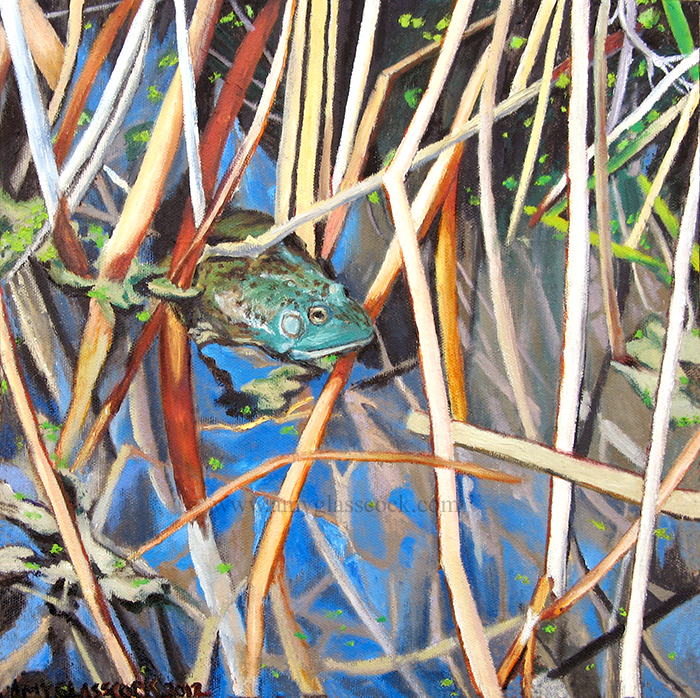 I enjoyed the challenge of painting all of the plants and reflections around him which make the painting a bit more interesting I think. I couldn't figure out what species of frog he is though.